Think about the wives. Those POOR wives. 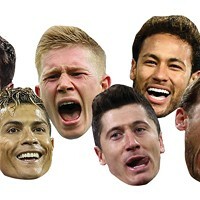 This is why women hate soccer. Coverage for every major sporting event, from World Cup to Stanley, always falls into the same sexist trap: what about the poor, poor wives of the knuckle-dragging men who watch the damn sports. Because ladies like to be pampered and cuddled. Apparently we want to talk about our feelings more than we want to watch good looking European men wipe sweat off their six-pack chests. Ahem. But someone is making money off this sporting old cliche. The Linthwaite Hotel in the UK is offering a football-free zone for those who can't stand the sound of the vuvuzela. As part of your weekend deal, they'll remove the sports section of the newspaper, and offer a free DVD library so you can watch something other than your significant other yell and crush his can of Foster's against his head. If any staff member gets caught mentioning the game, you get a free glass of champers. At the 2006 World Cup, European discount airline Easy Jet was offering cheap flights to the Mediterranean island Gozo. And then there's the merchandise. 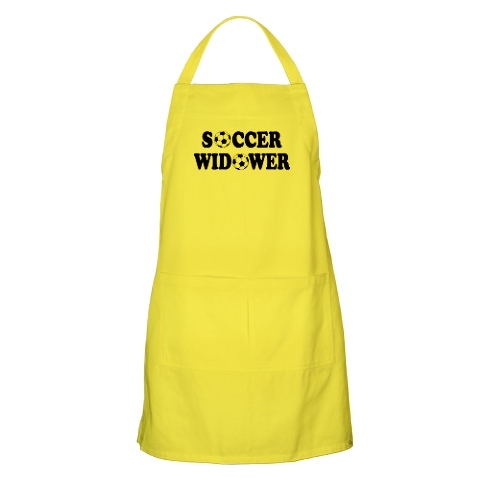 You can wear this apron while making your husband and his buddies their snack trays. Or you could take the situation into your own hands. 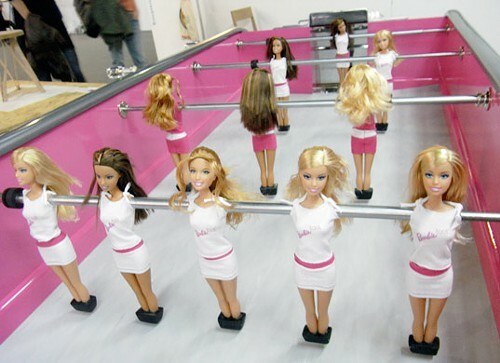 DIY Barbie foosball!